You can observe two spheres above, on the left hand you can see a 2D representation and on the right a 3D representation. The sphere on the left looks more like a circle and feels kind of boring against the sphere on the right that is 3D and looks so real and attractive, it feels like it is coming out of the screen. The study shows that if we ask a group of people to select between these two, 90% of people will select the 3D sphere because it shows the details and characteristics of a sphere. Why People Go With 3D? Our world is a three-dimensional plane and we are so familiar with it, for us, it is easy to interact and understand things those are part of it. And we easily memorize things by observing them from a different perspective. Technology is creating its new peak day by day, we are familiar with 3D animated cartoons, Movies, Games. All the entertainment stuff. Almost every person enjoy the 3D World of entertainment because it feels more realistic than 2D, it shows more details like shadows, depth of field etc. Chemistry is an interesting subject but mostly it is hard for students to learn chemistry or memorize the complexity of chemistry because it contains compounds, Compounds those are part of our daily life but have very difficult structure. If we talk on an educational level the structures of compounds are only visible in books and those are only on a two-dimensional plane that means you cannot observe them the way you want, you can not interact with them. To solve this problem we have an easy solution for you that you can keep in your pocket and learn anytime you want. An application that teaches the basic 3-D structures of molecules, for the students of intermediate, matriculation, O-level, A-level and other students of Organic Chemistry. 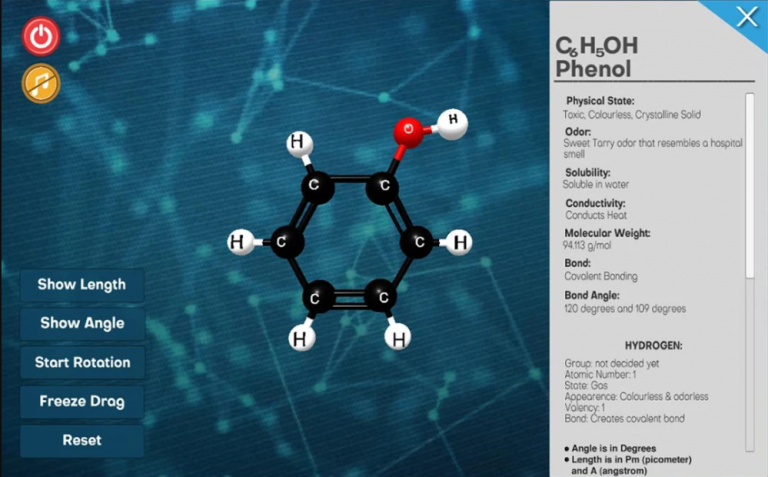 This will help you interact with the molecules that student face in their books, This is a very user friendly application that will help you understand and memorize the complexity of molecules. 0 responses on "How Can We Enhance Education Via 3D Application"